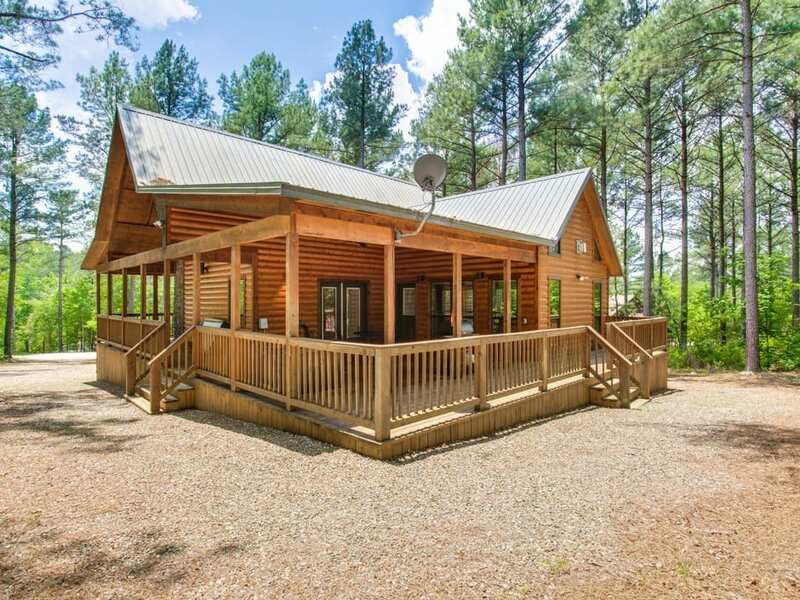 Southern Charm is a one bedroom cabin built for people who appreciate luxury living and the beautiful outdoors. 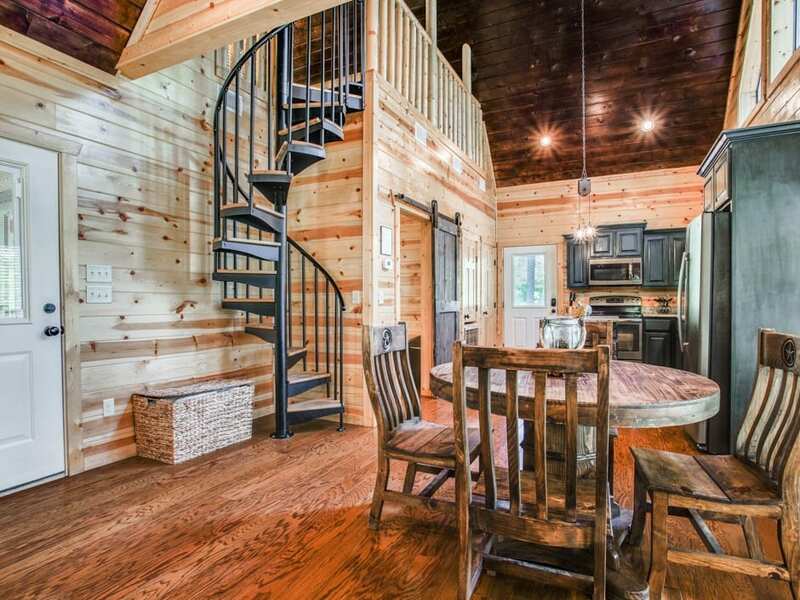 Walk up the stairs to the front porch that continues around the side of the cabin on the back deck with dining area and hot tub. 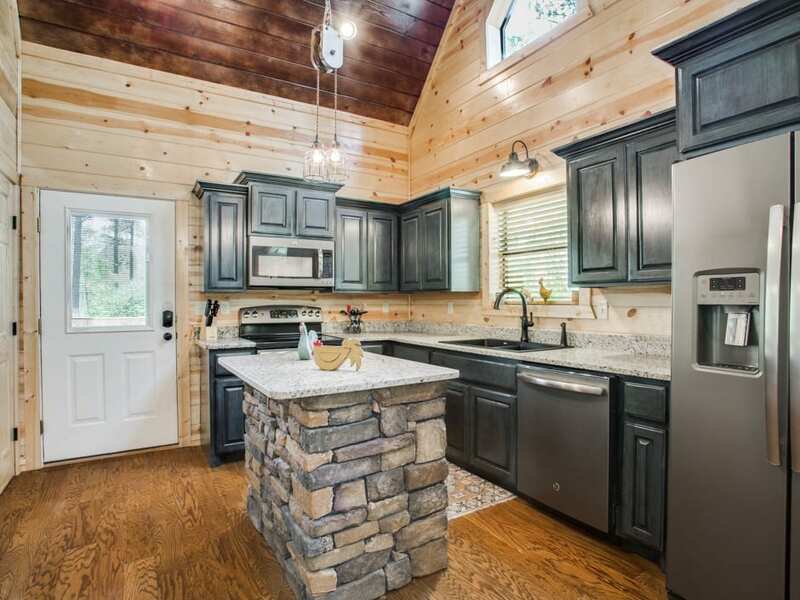 Enter into the cabin’s kitchen with center island providing space for meal preparation. State of art appliances of glass cooktop/oven, side-by-side refrigerator, microwave and dishwasher make this kitchen a dream to cook in. Small appliances of toaster, blender, crock pot, hand-mixer and automatic drip coffee pot (filters and coffee provided) are stocked in the cabinets. Dinnerware, cookware, bakeware and utensils are stocked also. Dining table seating for four sits close by. 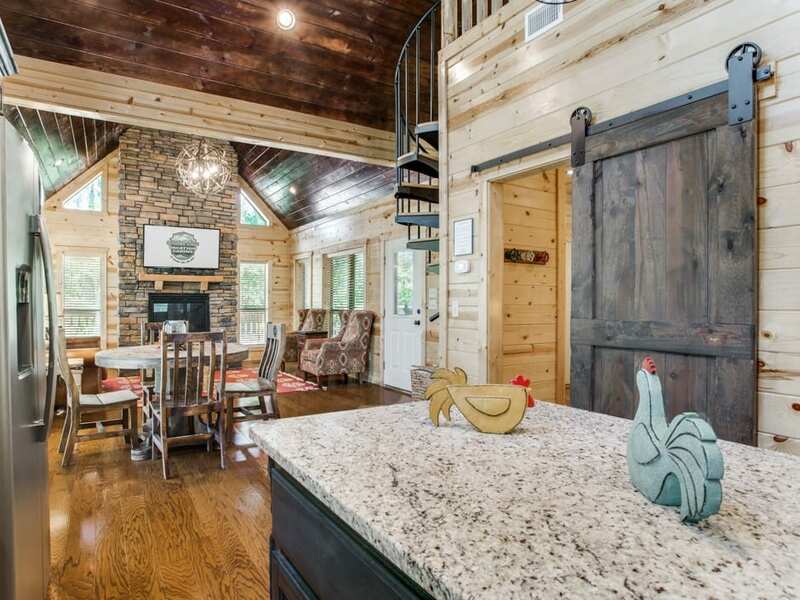 The open floor plan has the roomy living area adjacent to the kitchen. 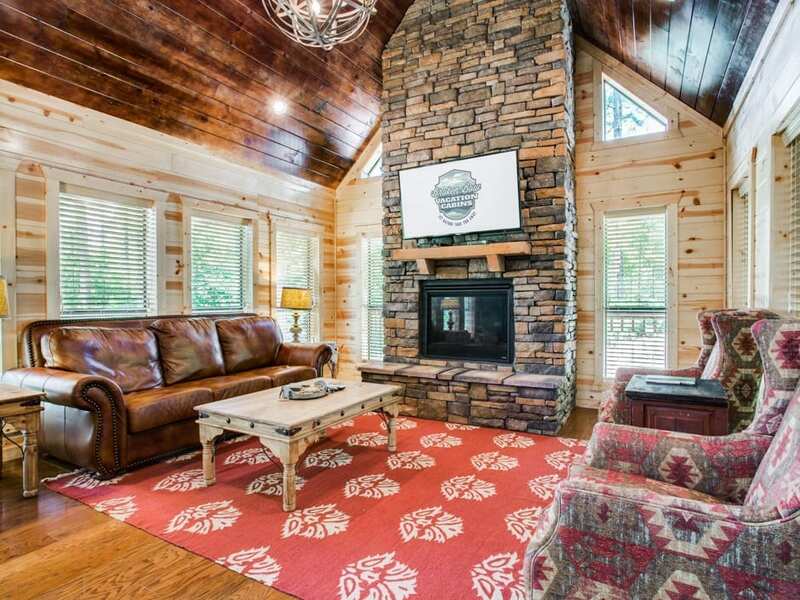 A comfortable sofa two wing back chairs adorn the gas burning fireplace (seasonal October through April). The large TV with Direct TV package is mounted over the gas burning fireplace. 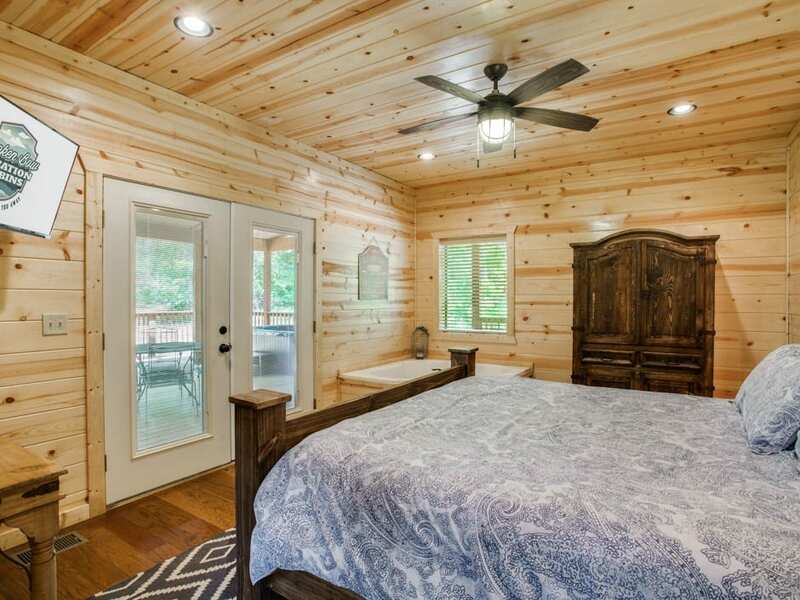 The bedroom is separated from the kitchen by a sliding barn door. 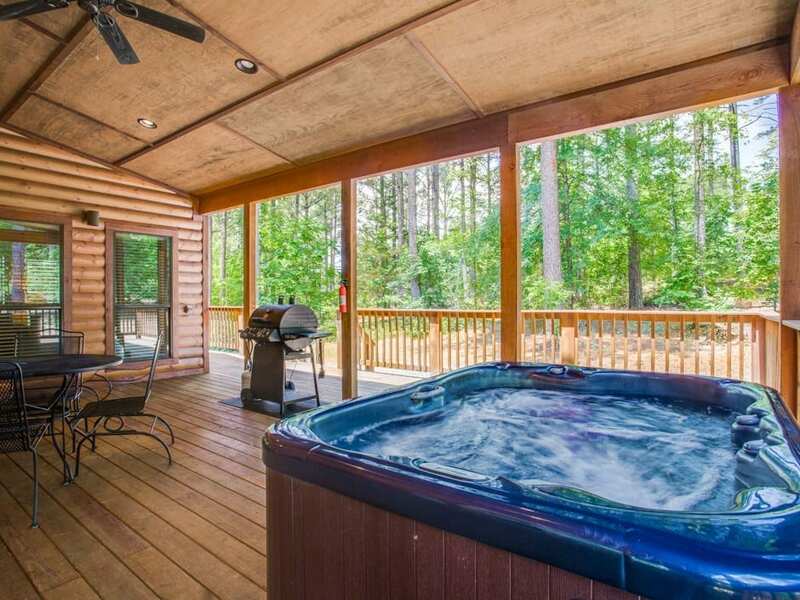 The bedroom features a honeymoon corner jacuzzi tub at the foot of the king size bed. Luxury linens wrap the mattress. An armoire is provided for storage of clothes and personal belongings. The TV mounted in the corner has Direct TV package (PPV not provided). 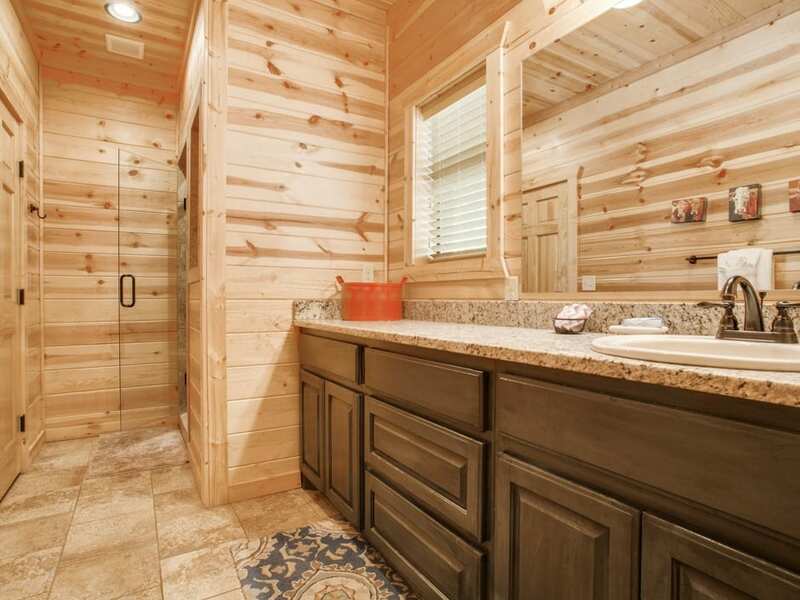 The bathroom is off the bedroom with walk-in tile shower and single vanity with ample counter space. 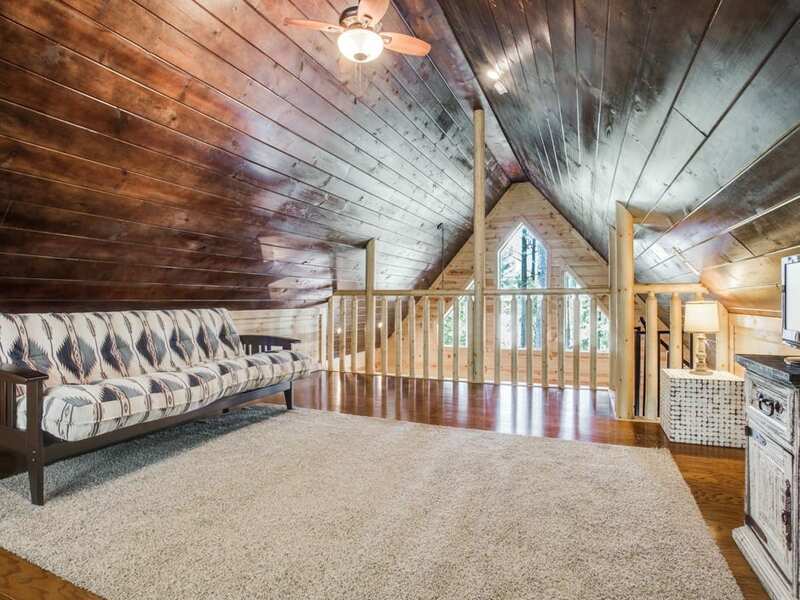 A spiral staircase leads to a loft area with futon sleeper and TV -no Direct TV upstairs. A laundry closet in the kitchen houses a stack washer and dryer. Outside on the deck you will enjoy dining at the table with seating for four. 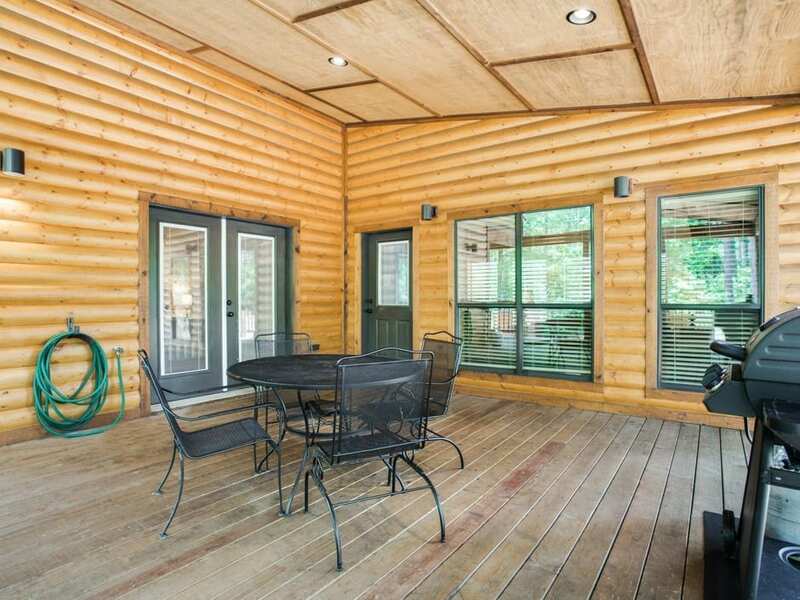 A gas grill with propane provided is located on the outdoor decks. 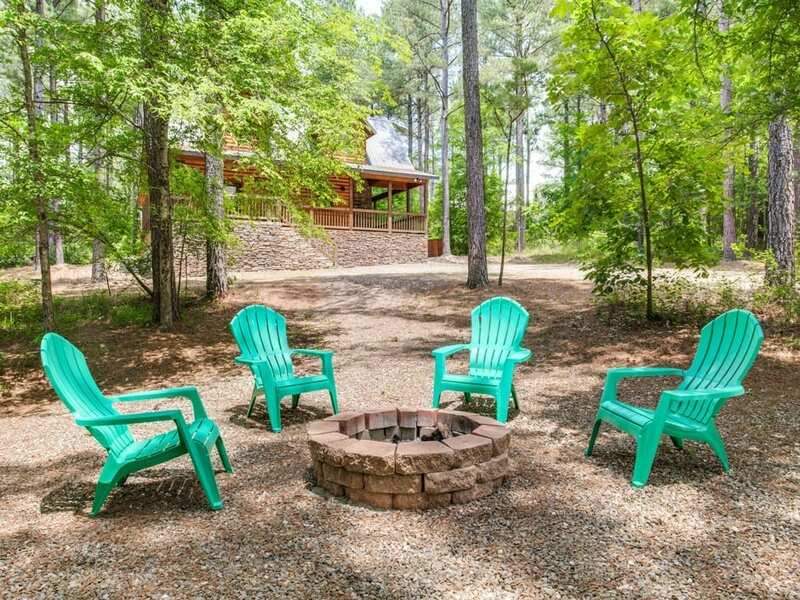 On the grounds there is a wood burning fire pit for roasting marshmallows under the stars. 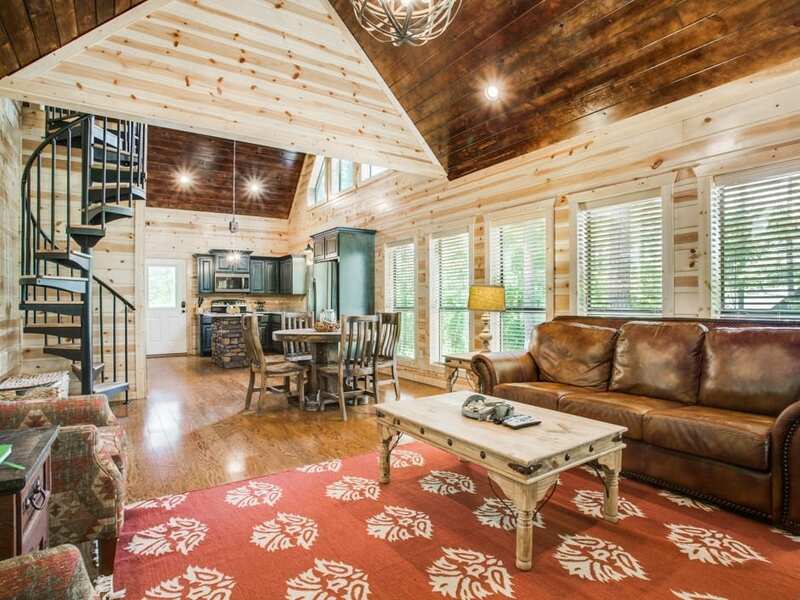 Southern Charm is located in Timber Creek Trails South just minutes from the Timber Creek Merchant area where you can enjoy local restaurants of Mountain Fork Brewery and Pizza, Shuck Me, Okie Girls Ice Cream, Knotted Rope Winery, The Tasting Room bar and Hochatown Distilling Co. & Gift Shop. 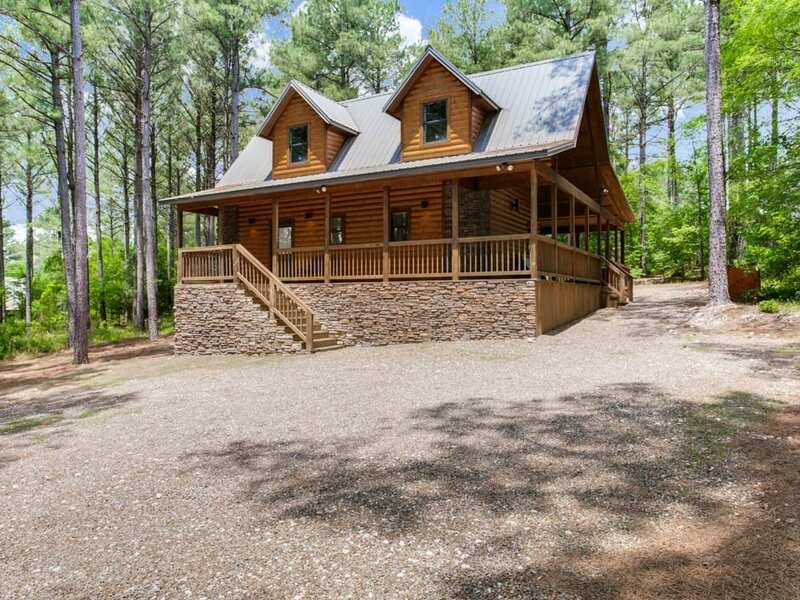 5 miles to the south you will find other attractions and restaurants, Beavers Bend State Park, Broken Bow Lake and Marina.